United Nations, Jul 13 (Prensa Latina) Cuba’s representation before the UN is calling for the host country of the headquarters of the multilateral organization, the United States, to fully comply with the obligations that stem from this condition. 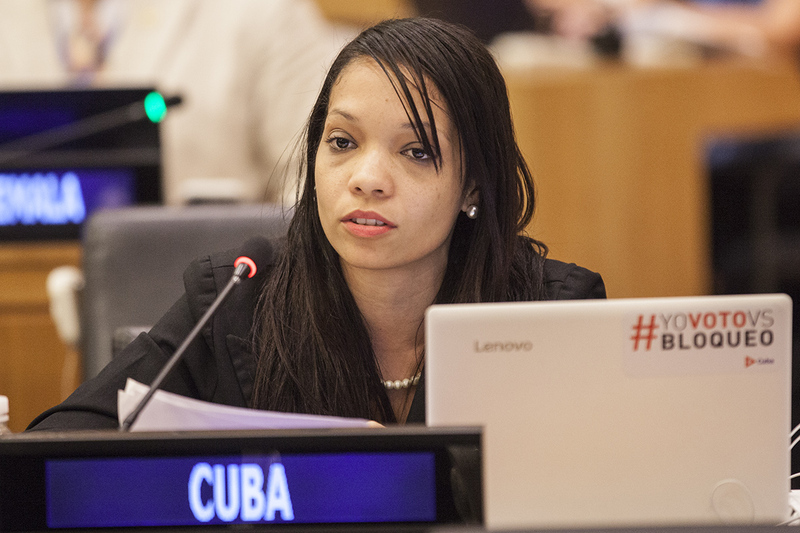 The second secretary of the permanent mission of Cuba to the United Nations, Indira Guardia, expressed the island’s concern about the continued failure on the part of the United States, as a host country, of the norms of international law in relation to its obligations as headquarters. In that context, she once again called on the northern nation to honor the commitments made under international treaties and to facilitate the work of diplomatic agents accredited to the UN. In addition, the diplomat stressed that there is no justification for the host country to continue without taking concrete steps towards the elimination of measures that hinder the work of staff of several missions. Such is the case of the restriction to free mobility, she set as an example. Guardia reiterated Cuba’s commitment to work with all members of the Committee on Relations with the Host Country of the United Nations with the aim of enforcing the relevant provisions of the Convention on the Privileges and Immunities of the United Nations, of the Vienna Convention of 1961 on Diplomatic Relations. All this with transparency, without discrimination and in full respect for the sovereignty of States and the Organization, she said. The Committee on Relations with the Host Country of the United Nations ensures that the latter responds in a timely manner to all issues that arise in the relations among the multilateral organization, the Member States, and the host country.